Motion Park is experienced in creating different types of SFX, and especially in mixing different type of media such as video material, CGI material, motion graphics, graphical media and many more. Some examples of our mixed media SFX can be found below. After creating filmed content, MotionPark can add special effects to tell a story. An example of bringing animated effects into filmed content is a promotional movie made for the company Jora Vision. For this company, which has a magic wand as it’s logo, we created a video which was send to Jora Visions clients to wish them a Merry Christmas. With our team we filmed at the Jora Vision office and edited the video. 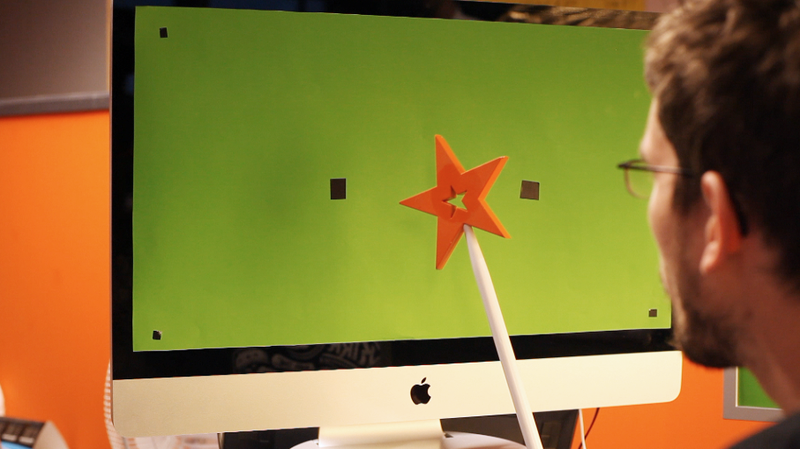 We created special effects which brings the magic wand to life and shows its ability: giving color to objects, magically making illustrations, building props and finally giving all the company employees a Christmas outfit. For some video’s it is easier to use motion graphics to tell their story. Motion graphics are animated content such as images, text, illustrations and signs. It becomes an attractive tool for viewers when animating it in the right rhythm of the sound or music. One example of motion graphics created by MotionPark in cooperation with Green Creatives, is a video for the company BioCryptology. This informative movie explains their digital Handscan protection service. We animated graphics, texts and 3D elements. Compositing is the name for mixing different types of video material from different sources. For example, removing an unwanted background, changing the color of the sky or showing the power of a cleaning product. 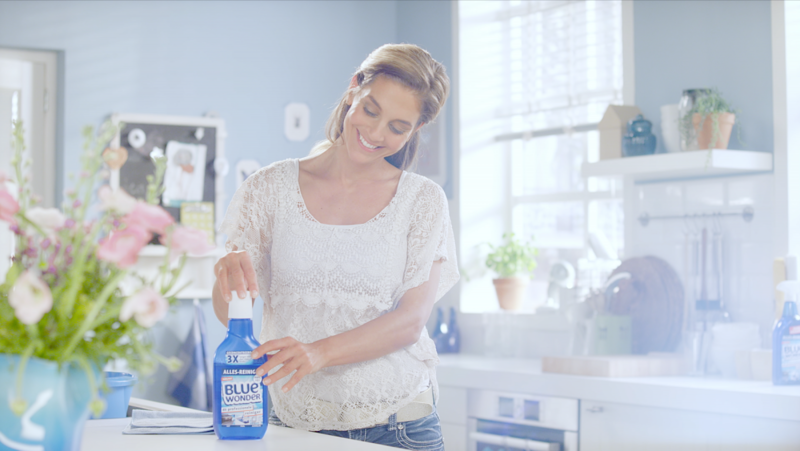 This last example was used in a video Lukkien produced for a cleaning brand, showing the power of a particular cleaning product. Martin Poiesz from MotionPark edited and composited the video. He added special effects to the video, by changing the background, multiply the actress and other accessories.